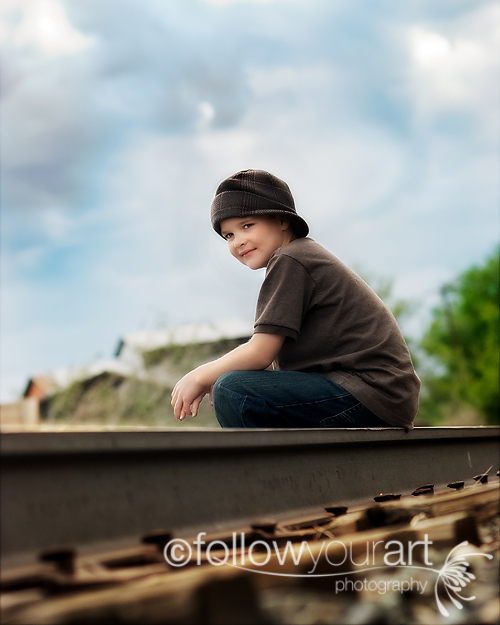 Follow Your Art Photography, Utah Baby, Child, Senior, Family Photography, photographer: Because I couldn't leave my other nephew out! Because I couldn't leave my other nephew out! So how lucky am I to have to have 2 nephews that are sooo cute! Here's just a little sneak peak of my littlest nephew, there will more to come soon. I am just so excited to work on his pictures, he's so handsome! I tried a bit different style of photoshop on this picture too, I think it kind of looks like a painting. And I have to add I found his awesome hat at a yard sale for $2....I LOVE yard sales!